Designed for Optical Innovation, Engineered to Last. Knight Optical is an established supplier of optical components and sub-assemblies used in night vision, space, avionics and land systems. We focus on providing expert advice and the highest quality products in the knowledge that lives are dependent on many of the applications we are involved in. Custom & stock precision optics. 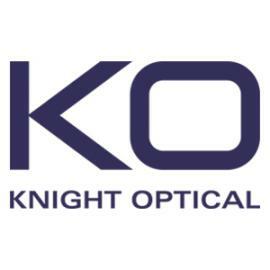 Quality custom optical components for UV/Visible/IR applications, Knight Optical has a portfolio with a range of over 3,000 standard components, available for immediate worldwide dispatch or Optical sub-assemblies, and opto-mechanics custom made to suit your application. Knight Optical has invested substantial resources into state-of-the-art metrology testing facilities to meet your exact specifications. Some of our core products include: IR diamond turned aspheric lenses, IR bandpass filters & IR windows & lenses with AR and DLC coatings. Visit our website to find out more www.KnightOptical.com or call 01622 859444 to speak to a technical advisor. Wyer Electrical and Engineering Ltd provide defence and security solutions, specialising in Camera systems – both visual and thermal, covert/overt vehicle installations, unmanned remote vehicles as well as other custom solutions. With 25 years experience in these fields, Wyer Electrical and Engineering have worked with the UK MOD as well as other security and defence forces around the world. It is this experience and know-how that has allowed us to build strong relationships with our customers and put their minds at ease over projects, regardless of size. Wyer Electrical and Engineering also offer a range of consultancy services to those looking for help bringing products into certain markets, especially in the Middle East.